Did you know that DC has a Tree Act? While it does not look like the crafty origami creation above, the District has had a Tree Act on the books since 2002 to protect the District's Urban Tree Canopy (UTC). Officially named the Urban Forest Preservation Act, the Tree Act protects all trees with a circumference of 55 inches (17.5 inches in diameter) or more by designating them as Special Trees. The designation requires individuals to obtain a permit to cut down, remove, girdle, break, top or destroy any tree of this size or greater on public or private property. If someone does any of the aforementioned without a permit, they are subject to a fine of not less than a $100 per inch of circumference. More simply put, they will have to pay a minimum fine of $5,500. Not cheap. Hazardous- An ISA certified arborist or UFA arborist must determine that it is. Appropriate for removal - Must be identified so by regulation. Trees that may be removed are Tree of Heaven, Mulberry and Norway Maples. 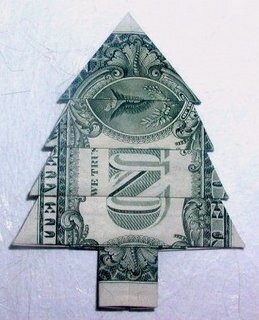 Pay into the Tree Fund - must be equal to $35.00 for each inch of circumference. Plant more trees - Quantity of replacement saplings aggregate circumference must equal or exceed the circumference of the Special Tree to be removed. Money in the Tree Fund goes towards planting new trees, covering costs associated with administering the Tree Act and assisting DC residents meet certain income guidelines with the removal costs of hazardous trees. To learn more about the Tree Act or to request a permit to remove a Special Tree, visit the DC UFA website.